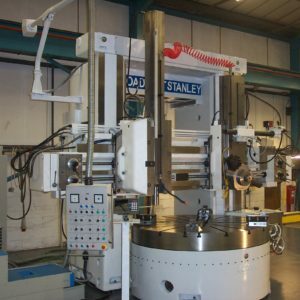 Broadbent Stanley’s range of lathes incorporates all the benefits of the formation bringing together the two world class names of Broadbent and Stanley. Both have over 100 years of history, designing and manufacturing specialist machine tools for a wide range of industries. The SC range of manual Vertical Turning Lathes are of a heavy duty, cast iron construction designed for both ‘one-off’and series production. Table sizes range from 1450mm diameter to 4000mm with a max swing up to 4250mm and turning heights up to 3100mm. 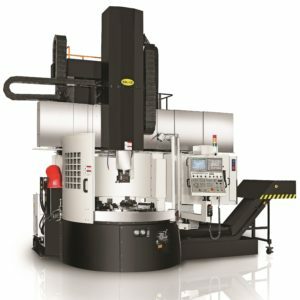 The RAL series of vertical turning lathes delivers uncompromising machining capability for turning, milling, drilling and grinding large components. Through use of advanced design concepts, the RAL series have been created to deliver efficient and accurate machining that takes the vertical turning lathe to the next level.